THE WHISTLING STRAITS CLUBHOUSE HOME OF THE 2015 PGA CHAMPIONSHIP, and the painting, it’s a Tully. The first release of Cassy Tully artwork of Whistling Straits in time for the 2015 PGA Championship, features both the clubhouse and the 18th hole on the golf course. Tully captures the windswept terrain of Whistling Straits on her newest painting, Whistling Straits-Clubhouse. Clubhouse is an original acrylic painting on a 24″ x 36″ panel, with a gold Italian framing. The painting features the rugged landscape of the Pete Dye designed course, that sits above the Lake Michigan Shoreline. 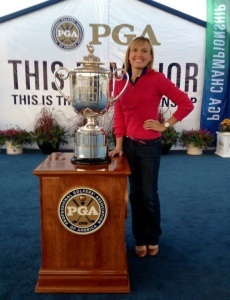 Cassy with the Wanamaker Trophy, presented to the winner of the PGA Championship. In addition to the complete collection of Sunrise on the Straits artwork, the Whistling Straits-Clubhouse original and prints are available at the Whistling straits Pro Shop and online at kohlerathome.com. Cassy invites collectors and golf fans to her studio and framing shop in downtown historic Plymouth Wisconsin, just west of downtown Kohler. Prints of her paintings can be personalized and professionally framed. For more visit Cassy Tully-Fine Art. 437 Mill street, Suite B, Plymouth Wisconsin. (920)-698-6201. Email at info@cassytully.com or website cassytully.com. Studio hours from 10-5:30 M-F, and Saturday 10 Am-3 Pm. The American Club in Kohler. EXPLORE THE HOLIDAY WONDERLAND OF KOHLER. The Horse and Plow, the Wisconsin Room for dining, breakfast with Santa. Total relaxation in the spa, or spa products. Tomorrow Monday Dec. 1st. CyberMonday Kohlerathome.com 30% savings. Coupon code is Cyber2014. Want to golf away. It’s not to early to get your favorite golfer set up for golf on Kohlers Championship golf courses designed by Pete Dye. Do remember that Whistling Straits will be closed for a few weeks in August for the PGA Championship. visit Destinationkohler.com for a list of upcoming holiday events and how you can enjoy them. (888)-293-7337. The PGA Championship comes to Kohler/Haven Wisconsin in August of 2015. While weekly tickets have gone fast and are sold out for the 2015 PGA Championship at Whistling Straits, there are still some daily tickets remaining. Right now daily tickets that range from $30-95 dollars are available. Tickets to the PGA Championship are a great gift for any golfer, or sports fans who like to watch the action of professional sports right up close. The drive to the Straits course from down in Illinois and or the Chicago area is an easy one. 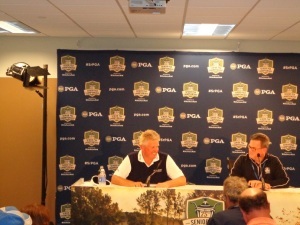 The PGA Championship will be in mid-August and will be a great way to wrap up the golf tournament season in the area. Rory McIlroy will be the defending champion and Martin Kaymer who won the 2010 PGA Championship on the Straits course will return. Purchase tickets at pgachampionship.com. Colin Montgomerie took home the trophy for winning the 2014 Sr. PGA Championship, but the championship has recently named another winner. The PGA of America has named Isiah Newson as the winner of the 2014 Dr. John M. Proos Volunteer of the Year Award. Newson worked in the media center during the championship and was selected from more than 1,900 people who worked the championship. 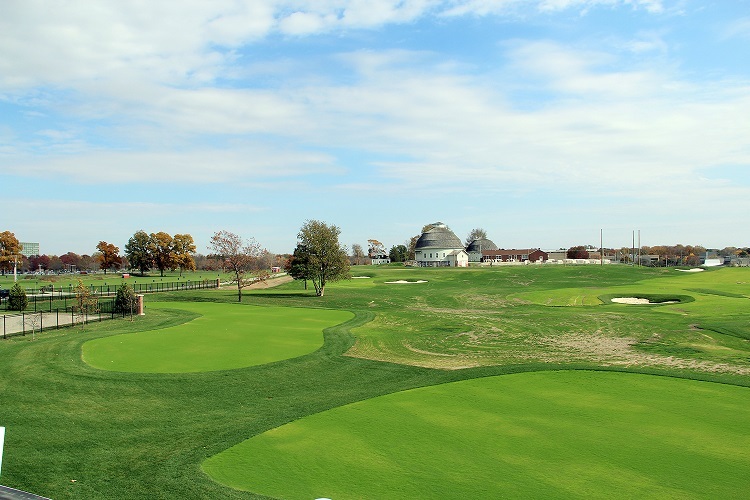 The 2015 Sr. PGA Championship will held on the Pete Dye Course at the French Lick Resort in Indiana. Tickets for that championship are on sale now online at SRPGA.com. In 2016 the championship will return to Harbor Shores. Congrats to Jeff Hintz the 2012 and 2014 Sr. PGA Championship Director on being named to the same position at the Hazeltine Country Club for the 2016 Ryder Cup. Golf as it was meant to be played, Bandon Dunes in Bandon Oregon, right on the Pacific Ocean coast line. 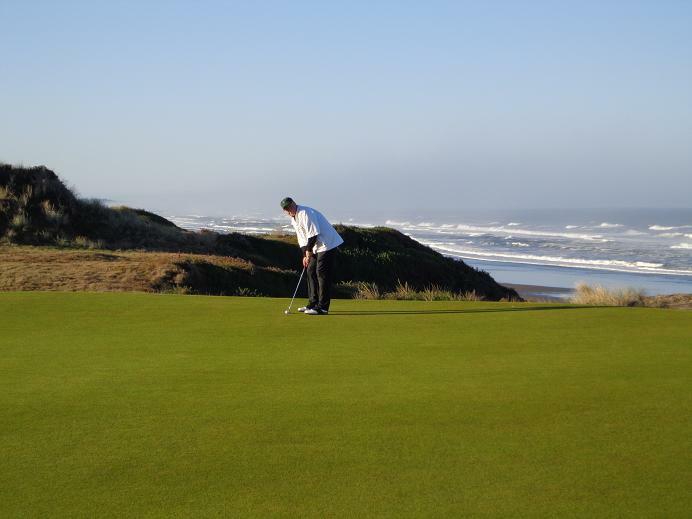 Right now go to bandondunesgolf.com to do you your shopping, and get FREE shipping through tomorrow December 1st. Bandon Dunes a Mike Keiser creation and stay tuned for news regarding the newest property by Keiser, Sand Valley in central Wisconsin. 2015 U.S. Amateur August 17-23 at Olympia Fields CC. There is now both ticket and volunteer opportunities available for the 2015 U.S. Amateur at Olympia Fields Country Club to be held next August. Both tickets and volunteer positions can be obtained at 2015usamateur.com. There is three ticket options and all of which include FREE parking. The Daily Ticket is just $25, with access to both courses on the day the ticket is valid. The Weekly Ticket $80 good for access of each round and practice rounds from August 14-17th. Upgraded Ticket Package-Clubhouse $200.00 access to the clubhouse for the entire week. Children 17 and under are FREE when accompanied by a paid adult. The amatuer championship has openongs for 700 volunteer postions. To call for information on volunteer positions or tickets call (708)-679-6776. The 115th U.S. Amateur is the first in the Chicago area since Matt Kuchar won at Cog Hill in 1997. Friar’s Head Golf Club in Riverhead NY. Here’s a special gift. How about access to one of the most elite and private clubs in the country. 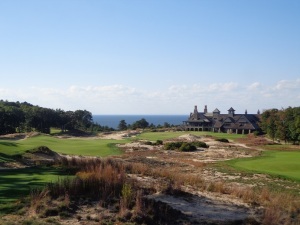 The highly rated Friar’s Head on Long Island, is a Ben Crenshaw and Bill Coore design. May 18th, 2015 is the 17th Anniversary of the Ann Liguori Foundation Charity Golf Classic. The outing over the years has raised large sums of money for various cancer charities, and for shelters of abused women, children and animals. To sign up for this top rated outing, visit annliguori.com or email questions to annliguori@gmail.com. Space is limited and sells quickly. A tip of the cap and or golf visor to the John Deere Classic. the tournaments charity arm, Birdies for Charity was again in 2014 one of the top fund charity fund raising tournaments on the PGA Tour. This year the JDC raised a figure of close to $6.33 million, that will help close to 500 charities in the Quad Cities area. If you wish to make a donation to Birdies for Charity, you do not have to wait for tournament week in 2015 to do so. 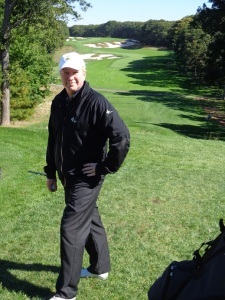 Visit Johndeereclassic.com and follow the link to Birdies for Charity. OAK MEADOWS PART OF DUPAGE GOLF. Dupagegolf.com is helping golfers with a special bonus for the holidays. While the office at Maple Meadows Golf Club is open until December 23rd, if you buy a gift card by December 21st of at least $75 dollars, you will receive a “Holiday Golf Bonus” that you can keep or give to your favorite golfer. Your can also shop online for the gift cards and more. Stay clicked in to Dupagegolf.com for all the information as it happens, regarding the renovation of the Oak Meadows Golf Course. Work is expected to start in fall of 2015. 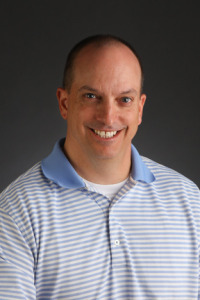 Greg Martin will head the team of architects that will oversee the golf course renovations. GOLFBEER BREWING COMPANY located in Florida has started distribution of three new types of beer. The three beers are created by Keegan Bradley, who designed a New England style lager. Graeme McDowell who developed a Celtic-Style pale ale. Finally Fredrik Jacobson designed a Scandinavian Blond Ale. Look for Golfbeer Brewing online for more information. The Gog Blog Speaks Out returns tomorrow December 1st, stay clicked in. LinksCapitalAdvisors.com Chris Charnas-Principal. If you’re ready to live the dream of owning a golf property, or in the position to sell. Call Chris Charnas at (847)-866-7192. 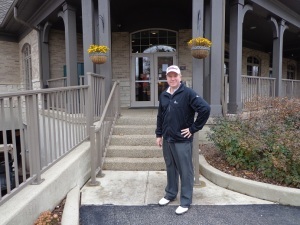 LCA, recently closed the deal for the award winning White Pines Golf Dome located in Bensenville. Willow Hill in North Suburban Northbrook. Clubhouse and view of the Chicago Skyline. NEW LISTING BY LCA..For Sale Willow Hill Golf Course in Northbrook for $1.5 Million. Willow Hill is a Nugent Golf Design that opened in 1993, it is located at 1860 Willow Road in Northbrook, close to the newest northshore development, “The Glen”. Currently the golf course is nine holes but there is room for more holes according to Chris the Principal of links Capital Advisors that is handling the sale. There is a full driving range and practice facility, and the clubhouse is over 3,300 Square feet. This project and location has room for expansion or an entire new look, to capture golfers looking for money and time saving ways to enjoy the game. The current course is great for juniors, seniors, ladies and beginners. ON THE SOUTH SIDE via Links Capital Advisors. Balmoral Woods in Crete, across from the race track. The annual Christmas/holiday sale in the 2-4 Building is next weekend from 10 AM to 4 PM. Holiday punch and snacks will be out as in past years, and complimentary gift wrapping as always. Don’t forget the Eskimo Open scheduled for early January, and it’s not too late to book your holiday party plans for Cog Hill, and events and golf outings for 2015. the range is open all winter long but closed on Christmas Day. See Coghillgolf.com for more details or call (866)-COG-HILL. GOLFVISIONS…The Player’s Pass for 2015 is on sale, and on sale this weekend through Cyber Monday December 1st. The Players Pass includes rounds of golf in the Chicago area, in Florida and other area’s. Included in this pass are rounds of golf and cart fees that would cost you about $1,000 dollars. But with the Players Pass it’s only $199.95, and can save $75 during the Black Friday sale. Have questions or more Email golfvisionsplayerspass@golfvisions.net. GOLF COURSES RUNNING HOLIDAY OR YEAR END SPECIALS INCLUDE. Chapel Hill Golf Club in McHenry, 2015 season passes and more on sale, visit chapelhillgc.com. THE TRIBUTE at America’s Resort the Greenbrier in White Sulphur Springs in West Virginia. Rooms starting at $69.00 for January dates. (855)-453-4858 for information. Eagle Ridge Resort in Galena, has gift card specials running this weekend. Call (815)-777-5000 or visit Eagleridgeresort.com. HOLIDAY SPECIALS AND REWARD/PLUS PASS for 2015 at Orchard Valley Golf Club in Aurora. Play and Practice Cards on sale through December 31. (630)-907-0500 or see orchardvalleygolf.com. Blackberry Oaks in Bristol, home of the Chad Johansen Golf Academy, Johansen creator of the Perfect Putting Aid has 2015 memberships for sale. Call (630)-555-7170, or online at Blackberryoaks.com. This weekend live entertainment, tours and tastings at the Copper Fiddle Distillery, in Lake Zurich on Rt. 22. Call (847)-847-7609. Come visit founders and creators, IPGA professional Fred Robinson and partner Jose Hernandez. Buy your booze in Illinois that is made in Illinois. Take the tour and see how top notch liquor is brewed. Live music tonight call for details. CRYSTAL SPRINGS RESORT IN NEW JERSEY. One of the top resorts in the northeast, just 50 miles west of New York City. Home to 8 golf courses and other outdoor and indoor activities, visit Crystalgolfresort.com to see all the holiday specials and deals for 2015. Call (877)-965-5746. Golfers play one of the top public courses in New Jersey, Ballyowen a links style golf course at Crystal Springs Resort. Settlers Hill in Batavia, with specials. (630)-232-1636. Tanna Farms in Geneva home of Boonies a great 19th hole, tannafarms.com or call (630)-232-4300 Black Friday weekend specials and holiday deals. The Gog Blog returns with a holiday idea and destination tomorrow. Stay clicked in. WHEN BLACK FRIDAY COMES…Well it’s here, and the best golf sale of the day takes place at MCQ’s Dome in Bolingbrook, in conjunction with Mistwood Golf Club. If you need to shop for your favorite golfer, and you need a great FREE breakfast, MCQ’s is the place to be from 8 Am to 11 Am. Golf specials and breakfast cooked by famed chef James Shamet, whose BBQ menu at MCQ’s is one for the tastebuds. From the road, Mistwood Phase 3 is well underway. Phase 3 at Mistwood is moving along, the new clubhouse is under construction. As a result of the work, the Performance Center is closed and traffic is being diverted to the other part of McWethy Golf, MCQ’s Dome over in Bolingbrook. Once the early winter set in and Mistwood closed for the season, assistant pro Eric Russell packed up the pro shop and moved it over to MCQ’s for todays Black Friday sale and more. The theme for today is that it all must go. That’s right you want a deal on equipment or clothes it all starts at 8 AM in dome at MCQ’s. Merchandise on display is up to 66% off. Do you need equipment like drivers, woods, hybrids, or putters by Titleist, TaylorMade, Callaway, or Cleveland. How about deals on apparel from Adidas,FootJoy, Ashworth and more. Don’t forget when you make a purchase at the sale, you get a free breakfast. MCQ’s is located on Rt. 53 in Bolingbrook. Looking at the East end of the new clubhouse. What is MCQ’s. It’s your winter home away from home. Golfers how about 60,000 square feet of heated indoor dome to practice in. 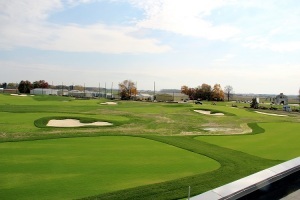 over 50 hitting stations, a 900 square foot putting green, short game area complete with a sand bunker. When you come in the front door, you have a choice. Head left for great food and cold beverages, or warm ones if you wish on those cold winter days. It’s a place you can check out the Blackhawks since MCQ’s is an official Blackhawks bar. If you walk in and go right, the OTB awaits. Need a break from golf, play the ponies. Who knows, maybe your payday for that next golf trip or winter getaway is just one wager away. The new clubhouse basement is taking shape. Mistwood Golf is really taking shape as the final phase of upgrades under owner Jim McWethy, are working their way towards completion. First it was the golf course, then it was the new Performance Center and now it will be the new clubhouse. While the official plan on the new clubhouse was a good one, a decision was made to modify it just so the future guests in the banquet facility can dine and dance in even more comfort. As a result of the changes that added 20 feet to the structure, and over 1200 square feet inside, the clubhouse facility is looking more likely at a July of 2015 opening date. But McWethy is still planning to have it open in time for the Phil Kosin Illinois Women’s Open. In the meantime, your tee time is 8 AM this morning at MCQ’s. Don’t miss one a great breakfast’s by one of the great golf club chefs in the Chicago area. Make a purchase for yourself or the golfer in your life, or favorite foursome. The Mistwood pro shop has moved to MCQ’s, don’t waste time shopping online. Go to MCQ’s. Happy Thanksgiving from the Gog Blog, enjoy the food, family and football. On Friday you can go shopping for golf goodies. Down in Champaign they are giving thanks for the new Lauristen/Wohlers Outdoor practice facility right next to the the current indoor facility the J.G. Demirjian. When coach Mike Small arrived back at U of I where he played golf in his college days, he wanted to build a program that could compete, year in and year out. Small’s job to recruit top high school players wasn’t an easy one since his school was located up north, where every winter the temperatures dropped and snow piled up. With the lure of warm weather and year round outside practice and golf calling from the South, top northern players kept leaving for warmer climates. At that time, Small realized he needed to do something to keep his kids playing all year round. The greens and tee’s are growing in. In 2007 Small got his indoor facility open, soon Illinois players had a chance to work on their game all year. There was a big putting and chipping area installed. When it came time to hit the long clubs, players can enter the heated hitting bays. It was facilities like this that helped getting Small better players, and kids weren’t afraid to stay North for the winter. While the indoor facility was a big help, it was time to match the facility with an outdoor area that was just as good. Small is fortunate that he now has several alumni that are playing on the PGA Tour, including his former Illini teammate Steve Stricker. This past spring while Stricker was playing at the Masters in Augusta National, Small went along and studied the practice facility. Stricker and Small took notes and pictures. 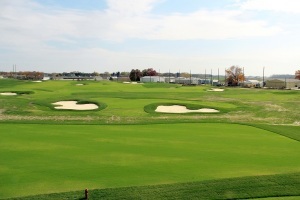 Shortly after they returned to Illinois, ground was broke outside the indoor facility on the new outdoor practice area, inspired by what the pro’s and top amateurs use at Augusta National for the Masters. Golf course architect Jeff Brauer helped design the facility. As the outdoor facility prepares to open, the men’s team is ranked No.1 in the country. As they prepare to carry that ranking towards the NCAA Championship in May, the facility that measures 24 acres should be ready to help the team in the spring. Cost of the project was about 2 million dollars. The facility is open for use by the Illinois Women’s team as well. As the men’s team makes a run for the national title this spring, they will be giving thanks for a chance to be prepared as well as they can be. NOTE: Senior Brian Campbell turned down a chance to practice with the USA Walker Cup team, because he will likely turn pro before the matches are held in 2015. In his place Junior Charlie Danielson will go to the practices. Pictures courtesy of U of I athletics. Happy Thanksgiving…from the Gog Blog. It might not be the biggest renovation in the area, or even the most expensive. 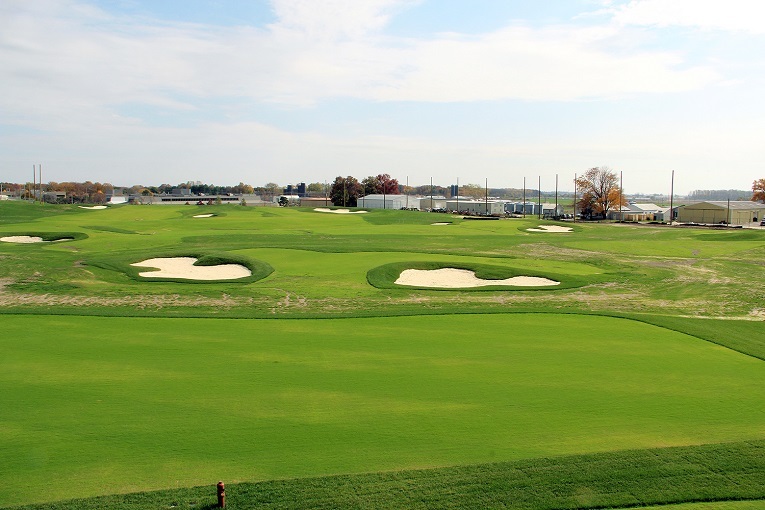 But the Glenview Park District has stepped up and redone an aging facility and given golfers a golf course that come summer of 2015 they should enjoy. Hometown native Rick Jacobson along with staff designer Doug Myslinski headed up a team that has given a well needed face-lift to the Glenview Park Golf Course. THE PAR 4, 4TH HOLE, WITH FRONT OF TEE COVERED. The Gog Blog toured the courses this past week with course general manager Ron Cassidy, and found a golf course that is greatly improved. The golf course was never a long course, just in the low 6,000 yard range. But with the changes the big hitters will find a few holes that require an extra club or two on that approach shot, or maybe needing that driver on a few more tee boxes. Tree removal was part of the project as well. Cassidy says they don’t have an exact figure on how many trees came out, the number is in the neighborhood of 250. The tree’s that were taken out, were mostly ones that had to go because of the Ash-Bore disease. Some were removed because they had been damaged in recent storms and were a safety factor, with a few others being taken out to help airflow and sunlight get access to certain area’s of the golf course. THE PAR 3, 6TH HOLE. A REBUILT GREEN AND LONGER TEE BOX HIGHLIGHT THE IMPROVEMENTS ON THIS HOLE. Two greens were rebuilt, the first and sixth holes. On the sixth hole a par 3, a bunker that ran long and was short of green has been taken out. There is no need to double penalize a bad tee shot, Cassidy says. The par 5 seventh hole will be challenging for the golfers, a new kidney shaped pond will front the right side off the tee box. But the golfers will have plenty of room left to avoid it. But a second pond on the left will come into play on the second shot. While the entire golf course was seeded before the cold temperatures rolled in, two and half holes (14-15- and front part of 16) did not germinate. Those holes will be the last holes ready for play in 2015. The bigger new tee boxes will be found on holes 1-4-6-17. Some of the other improvements are a bigger two sided practice area. The Red-crushed stone look on some holes, that reduces bounce and damage to the golf balls, that blacktop brings. The sand in the bunker will remain brown, but has been upgraded two-levels from the old sand. Golfers will find a more consistent level of sand, for those few stray shots that find the beach. THE NEW REBUILT 1ST GREEN IS COVERED FOR THE WINTER. Golfers will find that some of the green complexes have been tightened up, bunkers are in closer to the greens. But Jacobson gave golfers chances to bump and run shots, into the greens. You won’t have to fly everything into the greens. One thing that golfers will love is the better drainage, fairways, greens and bunkers will be dryer quicker than is the past, carts will be out on days that wasn’t possible in the past after a storm. The entrance and main parking lot is being redone as well. Cassidy is hopeful that at least nine holes will be open, if not all 18 in June of 2015. Follow progress here or at golfglenview.com. or call (847)-657-3215. BY: RORY SPEARS ASSISTANT EDITOR & SR. WRITER. On the steps of the Mt. Prospect clubhouse. The heavy lifting is done at the Mt. Prospect Golf Course, and the course has been put to bed for the upcoming winter. You could say just in time as well. The course is done even though there will be a small punch list of knick-knacks to do in the spring. The biggest thing on the list will be to grown grass, and the part of the job falls into the lap of Mother Nature. Mom brought us an early winter and hopefully on the back on end, she can drive up and chip in with a nice spring. The final holes to be completed were the 1st, the 8th and the 9th. They are shaped and seeded, unfortunately they were only seeded a day or three before the freezing cold temperatures hit. THE NEW 1ST HOLE, BUT STILL A PAR 5. Those holes will take some time to grow in come spring and summer. 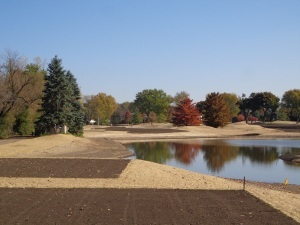 The late seeding on the final three holes will keep the course from opening in May. “May is out of the question,” says architect Dave Esler in regards to an opening date for the course in 2015. But Esler is hoping for late June, if the spring is not as bad as it was this year. A full tour of the golf course in late October showed that the holes that were done first, and were seeded in the middle of summer looked almost ready to play on. A staff worker cuts the green on the Par 4, 2nd hole. The golf staff will decide when the course opens next summer. The plan is to open the course when it’s ready to open, not because the calendar says it should. When the course does open what will the golfers find. Esler has taken an old golf course, and created a classic look that is similar to a few of the great courses designed by the who’s-who of the great historical architects, whose courses have withstood the test of time. Those classic courses are places like Shoreacres, Chicago Golf and the National Golf Links. Those courses are ones that many golfers will never get to play. Golfers who visit Mt. Prospect, will get a feel for what those course can be like. A Baritz style green (the par 3, 16th), greens with a Punchbowl design, the classic-look squared off tee boxes, raised greens, more elevation change, and bunkers with classic style features, including grass mounds in some of them. Director of Golf Brett Barcel looks at the Par 3, 16th hole with the rollercoaster styled green. There will be two new holes for golfers to play on the back nine of the golf course. The par 3, 10th hole, and the par 3, 12th hole. The 10th is a short par 3, playing around 135-140 yards. The 12th hole will be closer to 200 yards. With the 16th hole playing a par 3, there will be three par 3’s on the backside. There will be three par 5’s on the golf course, but the new par for the course will be 70 instead of 71. The length of the golf course will be just a little longer than the old course. But golfers will find a little more room to work their shots around the golf course with the removal of a few hundred trees. The new par 4, 18th hole has water off the tee on the right side. Golfers will enjoy the fact that the old short driving range is gone, and a new 350 yard range is in place. The new putting green is much large than small green the club previously had. Barcel is excited about the range being double-sided. On the back side of the range, is another hitting area and short game area. It’s a perfect place for lessons and practice. The high school teams that use Mt. Prospect, while have plenty of room for practice. Architect Dave Esler talks about the plan to restore the Mt. Prospect Golf Course, and what the expectations are when all is said and done. As for now, the golf course is ready settle down for a long winter’s sleep, hopefully is will be ready to grow again in early 2015. A look at the Glenview Park District renovation is next here at the Gog Blog, stay clicked in. It’s Thanksgiving week and I’m not thankful that our outdoor golf season got cut short by Mother Nature. Last year I played into early December with a round on Cog Hill’s No. 3 course, I know today it will be about 40 degrees out and you ask why not go tee it one more time. Sorry, I did my round at Kiawah Island on the Ocean Course this past January with a temperature of 42 degrees when I tee’d off. It was only 38 when I came in off 18, lunch by a fire place never felt so good. I’m hoping Mother Nature makes up for the early winter with a great spring, both the Mt. 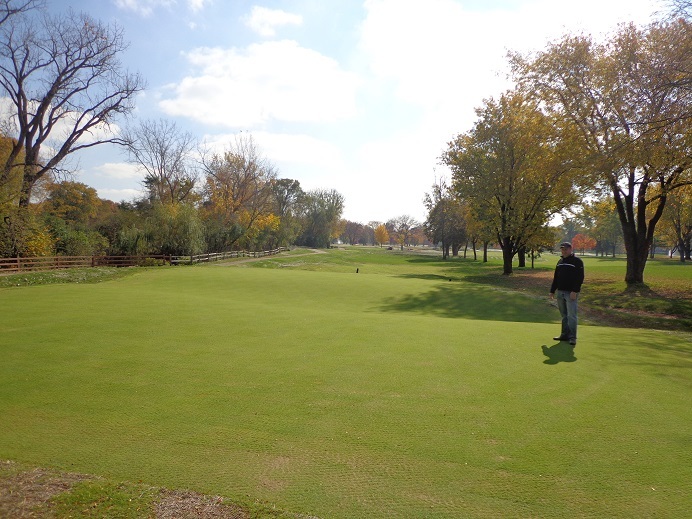 Prospect Golf Course and the Glenview park District Golf Course that have undergone renovations over the last 5-6 months could use a good spring to help grow some grass. I have toured both properties in the last couple of weeks. Both courses got finished before the cold temperatures hit. But both got the last few holes shaped and seeded only a couple of days before freezing temperatures arrived, those holes will take some time to grow in come spring. I’ll have a look at both courses coming up this week. Stay clicked in. A couple of Mt. Prospect based golfers have emailed me with concerns about the price tag for the renovation. That number is closing in on 9 million dollars, and could exceed that number. While the number is high, and higher than the other recent renovations around town, it appears Mt. Prospect will have a great product when it opens. In my interview with architect Dave Esler, Esler believes that residents won’t see much or any increase in price to the play course. But non-residents might see a bump. While it makes sense, I do feel for Mt. Prospect residents that might wish to golf with friends who live a mile or two away from the course, and live just over border into Des Plaines and or Arlington Heights. If those non-residents get hit hard, they will quit coming out. You have to wonder how the price tag got as high as it did, but in recent article about the upcoming park board elections one board member felt, the delay’s by the board in getting the project rolling might have been a mistake. It appears it could be a seven figure mistake. There is an old saying, “he who hesitates is lost”. Another old saying is one that goes, “timing is everything”. It appears the timing in Mt. Prospect wasn’t the best. I wish the board the best as they now debate a new 6-9 million dollar pool project because as everyone knows, unlike golf courses, pools lose money. Pete Bevacqua the CEO of the PGA of America was quoted as saying the PGA Championship could be moved out of the USA at some point in the future. Which leads to the question, WHY ? There aren’t really any good reasons to take a major championship out of the country. Does anybody really think that the British Open is coming to America anytime soon. American golf fans already have one championship that they have to get up at 2 AM to watch, do we really need another. To do that in back to back months is really crazy, and it doesn’t take a committee or a task force to figure that one out Pete. Instead, why don’t you or someone in your organization take a page from the book of Mike Davis and the USGA, and create some new venues in America for your championship. The USGA went out and fixed up Bethpage and made that work, now Davis has Chambers Bay and Erin Hills on it’s calendar. I’m sure there is a golf course, or a market that could use a boost from a major championship in town, start looking for something new if you must and create a new venue. There are some venues you have used in the past, that are overdue for a return. Please stop just moving into places that the USGA has moved on from, and while we are at it, enough is enough with Valhalla. A TIP OF THE CAP OR GOLF VISOR.. to the folks at Kempersports for the well done open house on Saturday at the White Pines Golf Dome in Bensenville. KSM bought the dome from long time owner Mike Munro in the last few months. It was great to see all things that were going on, and Champions Tour Golfer Chip Beck in the house giving lessons to kids. whitepinesgolfdome.com for more on what’s ahead. 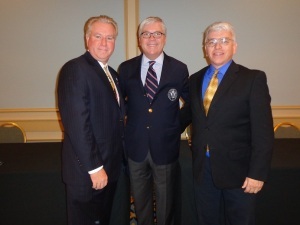 BIG 3 PARTNERS RORY SPEARS & TIM CRONIN, WITH USGA EXECUTIVE DIRECTOR MIKE DAVIS AT THE CDGA 100TH. If you missed it over the weekend, my feature 20 minutes with USGA Executive Director Mike Davis ran yesterday. Do check it out if you have not already seen it. Fellow BIG 3 partner Len Ziehm is advancing for us into Florida, and around the Southeastern states. At Lenziehmongolf.com, Len has just posted a story about his last few days at Bay Hill, but it appears that Ziehm did not encounter the King while he was there. Did you get a final round of golf in over the weekend, I saw several groups out playing on the weekend, good for you if you played. It was nice to see. 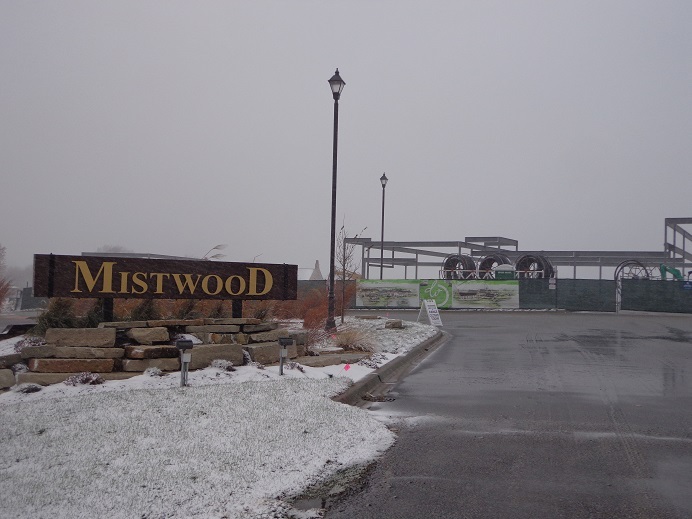 I’m off today to meet with Mistwood owner Jim McWethy and a take a look at the clubhouse construction, afterwards I’ll see what’s new at MCQ’s Dome in Bolingbrook, or Phase 2 of McWethy Golf. If you’re thinking new equipment for 2015, now is the time to roll up your sleeves and get to work on a plan of what you might do. Start dropping hints that with the holidays coming, that’s what you need. But do not let a non-golfer go shop for you, and then let them yell surprise when the holidays arrive. You might spend the next year being sorry. Granted their thought is a nice one, but let them help on golf related things other than clubs. The Gog Blog Returns tomorrow, Stay clicked in. PALMETTO DUNES OCEANFRONT RESORT-ON HILTON HEAD ISLAND SOUTH CAROLINA. 54 HOLES, THE JONES COURSE, THE HILLS COURSE AND THE FAZIO COURSE. 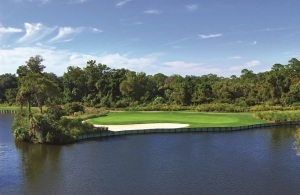 PalmettoDunes.com (877)-567-6513. It’s golf season, call now. 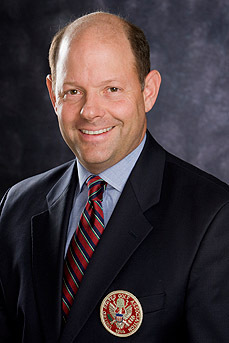 Mike Davis is the Executive Director of the United States Golf Association (USGA), and has been in this post since March of 2011. Davis is the seventh executive director in the organizations 118 year history. Davis succeeded David Fay who had held the position for over two decades. Davis was also named Chairman of the World Golf Foundation’s Board of Directors. As executive director, Davis is the senior staff member of the USGA, he is responsible for managing all aspects of the association’s day-to-day operations. Davis joined the USGA in 1990 as an assistant manager of Championship Relations, and the U.S. Open at Medinah won by Hale Irwin was where as Davis says, ” he cut his teeth.” By December of 1990 he was promoted to manager of Championship Relations for five years, until in 1995 he was promoted again to director of Championship Relations. By 1997 Davis was named U.S. open Championship director. In 2005 Davis assumed responsibilities as senior director of of rules and competitions. He has worked as a rules official at major tournaments like the Masters, the British Open, the Players Championship and the Presidents Cup. Davis played golf as a junior after being introduced to the game at age 8 by his father, he was the 1982 Pennsylvania State Junior champion and was a member of the his college golf team at Georgia Southern University. He has played in several prominent national amateur tournaments. Davis is the premier spokesman for the USGA, before the recent Chicago District Golf Association’s Centennial dinner, Davis spoke with CDGA writer Tim Cronin and the Gog Blog on variety of subjects. Among the topics covered were, the 115th U.S. 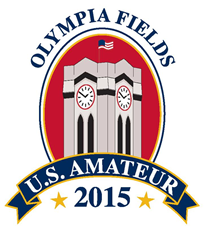 Amateur coming next August to Olympia Fields, recapping 2014 and looking ahead to 2015. 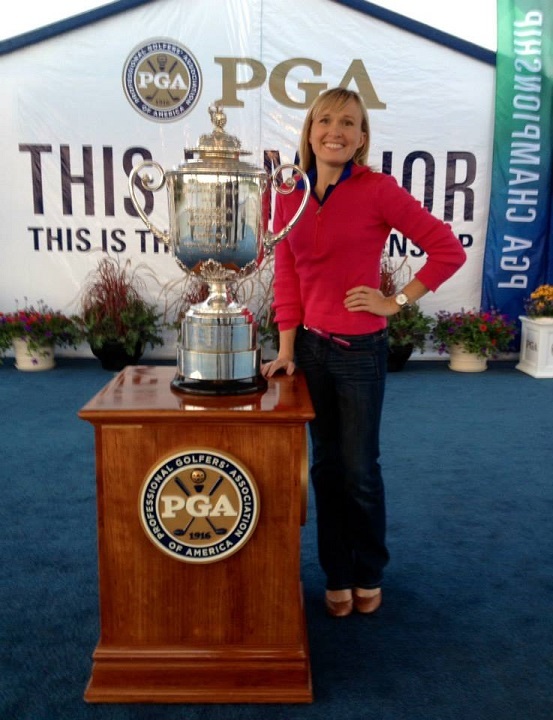 Pulling off back-to-back U.S. opens on the same golf course, working for years with the CDGA. Davis spoke about the change in TV networks from NBC and ESPN to Fox Sports, and shared his thoughts about the potential for Mike Keiser’s new Wisconsin project Sand Valley. Davis shared his excitement about the potential for a U.S. Senior Women’s Open, that USGA President Tom O’Toole says the USGA will make a decision on in 2015. As part of his duties at the USGA, Davis over see’s the U.S. Open and still does the course set up. It was Davis who threw his support behind venues like 2015 U.S. Open location Chambers Bay near Seattle, and 2017 U.S. Open site Erin Hills in Wisconsin. Davis saw something in both of these locations from early on, and helped bring them to the U.S. Open rotation of great historic American Courses. They became the 5th and 6th public courses that will host a U.S. Open. Both courses have already hosted the U.S. Amateur, and had their ability to host a national championship tested. 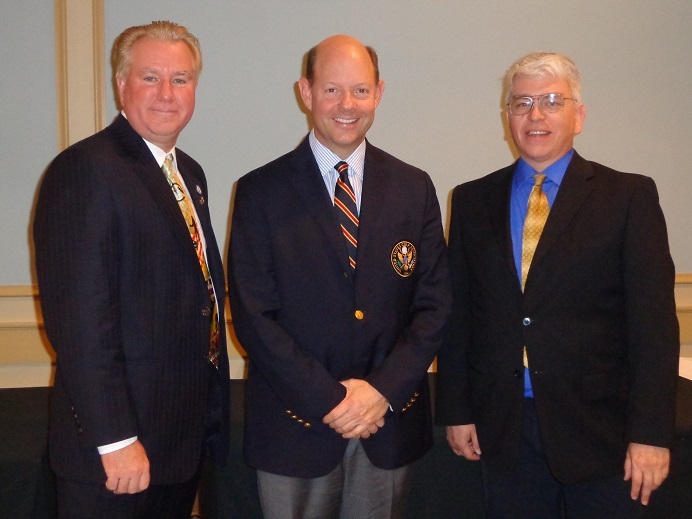 Click on above, for the interview with USGA Director Mike Davis. The Gog Blog will have more about the USGA and it’s main campus in Far Hills in the short future. Stay clicked in. OPEN HOUSE AT WHITE PINES GOLF DOME IN BENSENVILLE-TODAY 10 AM TO 4 PM. CONTESTS AND MORE WHITEPINESGOLFDOME.COM. 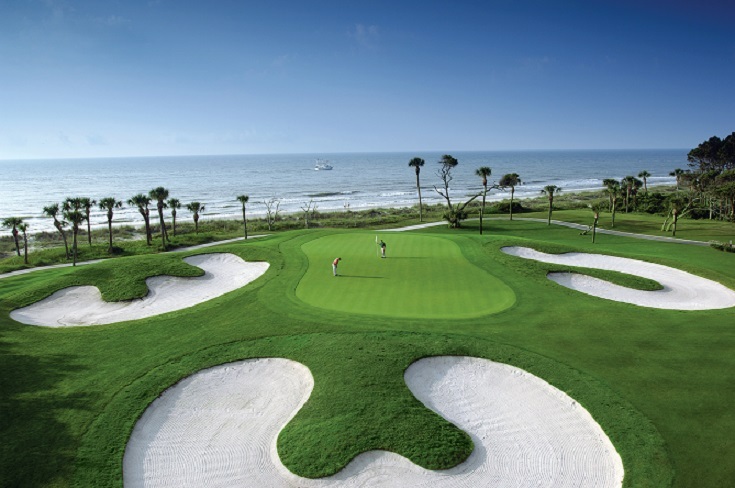 The Robert Trent Jones Sr. course at Palmetto Dunes Oceanfront Resort on Hilton head Island in South Carolina. If the early cold snap here in the Chicago area made you put away your clubs before you were ready, it might be time to hit the road. 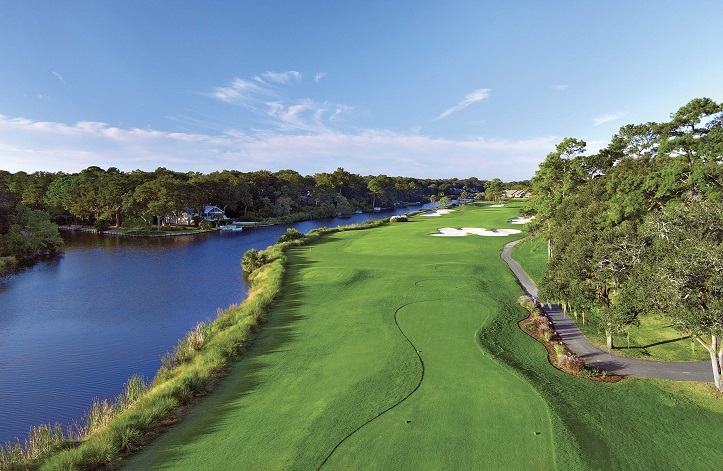 Southeastern America is home to some of the greatest golf in the country, whether you pick Florida, Georgia or the Carolina’s you can’t go wrong. But if you want some relaxing time, along with some great golf, and on the oceanfront, maybe it’s time you visit South Carolina and the Palmetto Dunes Oceanfront Resort on Hilton Head Island. Palmetto Dunes Resort is a 2,000 acre property on Hilton Head Island, it’s borders include 3 miles of oceanfront beaches and a Intracoastal Waterway and marina on the other. The resort has 54 holes, all created by well known architects and their assistants who carved out names for themselves over the years in golf course design. In the late 1960’s, the resort brought in Robert Trent Jones Sr. to get the ball rolling, or the golf ball flying around Hilton Head Island. Jones brought along with him an assistant named Roger Rulewich, who end up working for Jones for 34 years. Rulewich went for a job interview with Jones thinking he built buildings and not golf courses. Rulewich took the job anyway and the rest was history. 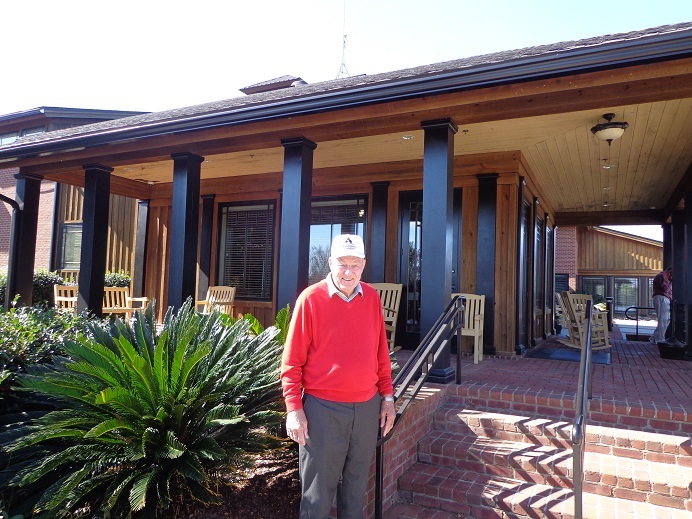 In 1974 George Fazio built the second course at Palmetto Dunes, brought along his nephew Tom who had entered the golf course design business as well. Fazio also enlisted the help of Bob Spence a fellow PGA Tour professional who later became the resorts Director of Golf. Spence went on to become a nationally known golf instructor and a lifetime member of the PGA of America. Spence went on to become friends with Davis Love Jr, and Davis Love III, helping design over and renovate over 30 courses with the later at his golf design firm. These days Spence is helping with the creation and golf operations at Kinderlou Forest GC in Valdosta Georgia. 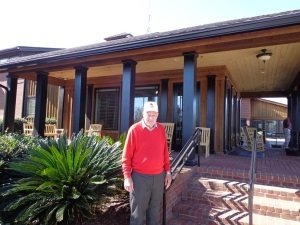 Bob Spence the former Director of Golf at Palmetto Dunes, at his current home Kinderlou Forest GC. In 2014 the Fazio course earned the “South Carolina Golf Course of the Year” award. With earning the award earlier this year, that made for a “hatrick” at Palmetto Dunes. In 1988 Arthur Hills created the Hills Course at Palmetto Dunes, alongside of Hills was his assistant who has been with him for over three decades Steve Forrest. The work done by Hills and Forrest helped earn the course the “South Carolina Golf Course of the Year” back in 2009. The Hills Course soon became home of the Golf World/Palmetto Dunes Intercollegiate Championship, many well known PGA Tour professionals played there in their college days including Phil Mickelson. Are ready to take a break from the cold chills of winter creeping into our northern climate. Then whether it’s before or after the holidays, why don’t you visit Palmetto Dunes Oceanfront Resort on Hilton Head Island. If you are looking for more than just golf, then why not visit the award-winning tennis center, an 11-mile inland salt-water lagoon system great for kayaking and fishing. Need more, how about shopping, a charter for the day, or dolphin tours. For more information on Palmetto Dunes, please call (877)-567-6513, or online visit PalmettoDunes.com. Tom O’Toole Jr. is in his first year as president of the United States Golf Association. He has been involved with the USGA since 1988. He has been certified as a golf rules experts every year since 1990, and a member of the rules committee since 2004. He was secretary in 2010, and Vice President of the of USGA 2011 to 2013. O’Toole has served as a rules official for 135 USGA Championships, including every U.S. Open since 1990. USGA President Tom O’Toole speaks at the University Club in Chicago, helping promote the 115th U.S. Amateur at Olympia Fields. ” WE NEED TO CONTINUE TO WORK BRINGING PEOPLE INTO THE GAME. IT’S A 70 BILLION DOLLAR INDUSTRY, THIS GAME IS IN GOOD HEALTH, LET’S NOT ALL SCREAM FIRE IN A THEATRE,BUT WE’VE GOT TO WORK AT IT, WE HAVE JOINED FORCES WITH OUR PARTNERS TO WORK AT IT. BUT OUR GAME IS GOING TO BE OKAY. WE JUST HAVE TO CONTINUE TO EXPOSE IT, TO NEW PEOPLE.” USGA President Tom O’Toole, on the state of the game of golf. USGA PRESIDENT TOM O’TOOLE, has made two recent visits to the Chicago area. He was first on the tee in July to speak at the University Club to launch promotion of the 115th U.S. Amateur at Olympia Fields Country Club that will be played next August. Last week O’Toole returned as one of the featured speakers, at the Chicago District Golf Association’s Centennial dinner at the Palmer House. Below is part of his media session from July. His interview with CDGA magazine staff writer Tim Cronin and Golfers on Golf before the CDGA dinner, covered a variety of topics and is found on the audio track below. Q. What were the considerations in choosing Olympia Fields for the amateur ? O’Toole: The USGA has had a policy for about a decade that says Championship Committees, said to accept invitations from clubs for the U.S. Amateur, those clubs should be a past or future U.S. Open site. So with 1928 and 2003 under Olympia Fields belt… Not only the North Course, but the restoration of the South Course, then the aspects of having 36 holes at one spot for 312 players to conduct our stroke play portion, operationally that’s exciting and welcoming to our staff. So I think Olympia Fields had that component. They have had a championship history there since 1928. It was an invitation we were excited to receive, and we are looking forward to next August. Q. What are some of things you and your USGA colleagues love about this championship. O’Toole: Well besides it being our oldest championship by one day in 1895, this a learned golf group here today, but when you speak to people that are not as initiated, the first thing you have to try to draw the distinction is that the USGA is an amateur body. That’s why we were formed in December of 1894, to really conduct national championships, which are primarily of amateur variety. The U.S. Amateur is the most coveted title in amateur golf. While people will debate which of the professional major championships is the best. I don’t think there’s any debate in men’s amateur golf that the most coveted title is the Havemeyer Trophy that has been conducted since that summer of 1895 at Newport Country Club. It has a long connection with what the USGA represents and the epitome of what were trying to do in our championship presentation. I’ve had a chance to interact with a lot of the past amateur champions. What that title has meant in their career’s and it’s pretty remarkable. Q. What excites you about Olympia Fields, specifically the golf courses ? O’TOOLE: Well I think two great tests of golf courses. When we went to 312 players, if you look historically when we went to companion sites that were away from the host site, not part of that club,we probably went to some sites where we can get an 18-hole round posted, but it doesn’t meet the test or level of the championship presentation that the host site where the match play portion was going to be conducted. I think what we have here is that we have two really good golf courses that arguably, particularly after Steve Smyers restored the South Course, are challenging to one another. I think we could get a good debate between their membership on which course they like the most. From a clubhouse perspective, it doesn’t get any bigger or more expansive than Olympia Fields. That will give the club a lot of capability to do some things hopefully with some sponsors and with spectators and people that can come an enjoy the championship. I Think Chicago is a great golf market, and to bring our oldest championship here, and I think it’s been here 13 times, is something special to the USGA. Q. Have there been any discussions about course set up as compared to the set up that was used here for the 2003 U.S. Open ? O’TOOLE : Ben Kimball who oversee’s our men’s amateur championship has Tom Meeks and a mentoring Mike Davis’ notes from 2003. I think the championship will be conducted nearly as it was in 2003 for the Men’s Open. There may be some slight modifications. 2003 was a good test, Furyk won there. But I think there have been a couple of teeing grounds added and the like. I think you will see that the philosophies have changed slightly under the Davis regime. You’ll probably see graduated rough, probably drivable par 4’s, if that makes sense in the set up from one day to the next. In match play you can do a lot of different things and create some different challenges intellectually and mentally. I think you will see some of that. (L-R) RORY SPEARS-TOM O’TOOLE-TIM CRONIN before the CDGA Centennial Dinner. USGA PRESIDENT TOM O’TOOLE speaks with Tim Cronin and Rory Spears at the CDGA Centennial dinner. O’Toole covered a variety of topics, including a review of 2014, a preview of 2015, the new TV contract with Fox, what’s happening at the USGA in Far Hills, the state of the game of golf and more. STAY CLICKED IN for our story and feature with USGA Executive Director Mike Davis, coming soon.